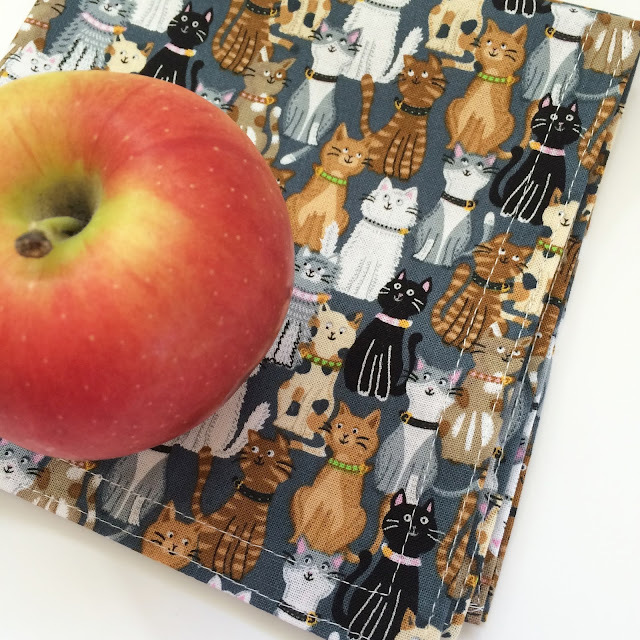 Today I finished up a pile of lunchbox napkins. We use some paper towels in the kitchen but I try to keep their use to a minimum. (Try googling how many paper towels are used each day!) When we go to up to the mountains, I love to sit on the deck and appreciate the trees, their smell and the soothing sound of the branches moving in the wind. It makes me so sad to see logging trucks coming down the mountain with their irreplaceable load. 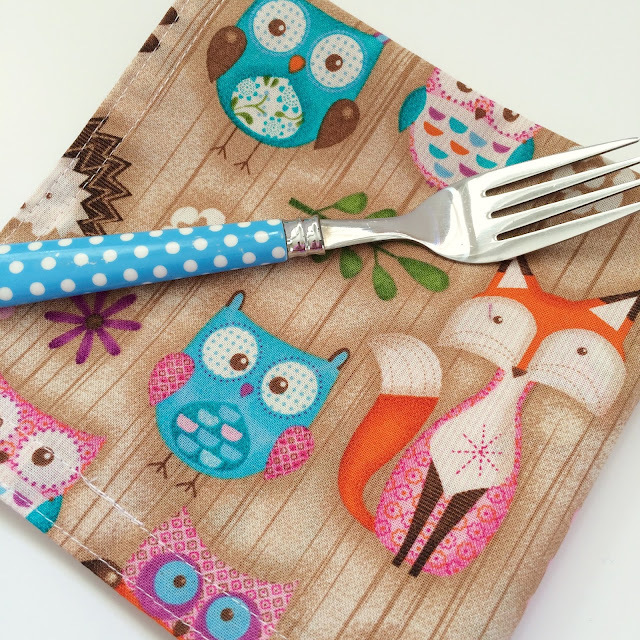 One of the ways we try to use less, is by using fabric napkins for mealtimes at home and also in our lunch boxes. Lunchbox napkins are smaller than regular napkins and are quick to sew and a great way to use up scraps of fabric. 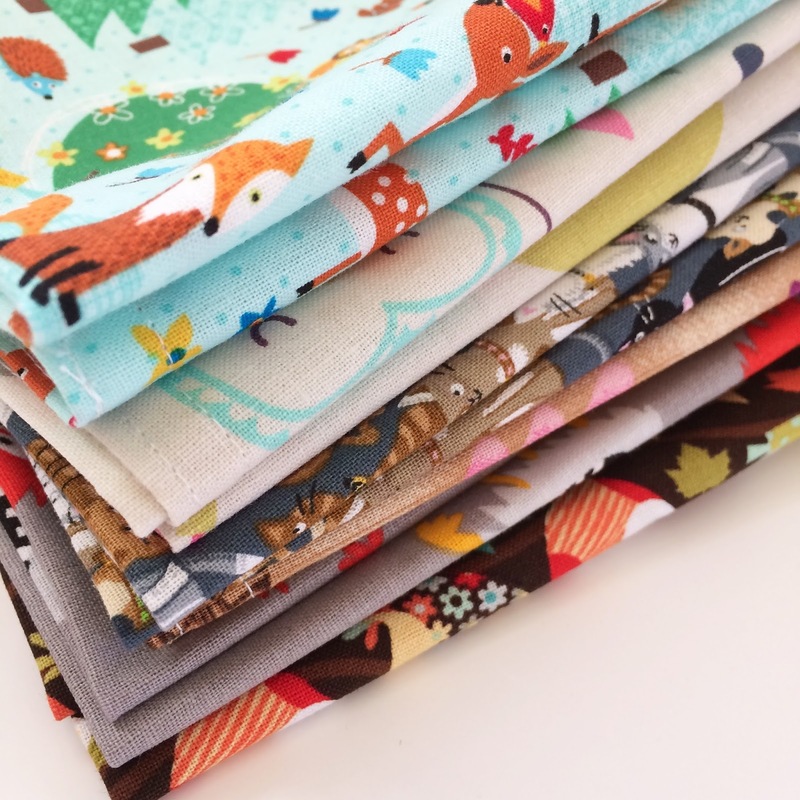 For this batch I was focusing mainly on fabrics with small prints. I did buy some of the fabric but it was all on sale and I was able to use an additional coupon. Using a rotary cutter and quilters ruler, I cut the fabric into 14 inch squares. Then I ironed a hem and folded that hem over and ironed it again to hide all the raw edges. When I make napkins I like to do double row of stitching. This gives the napkins a really nice tailored look and also stops the folded corners from looking funky. 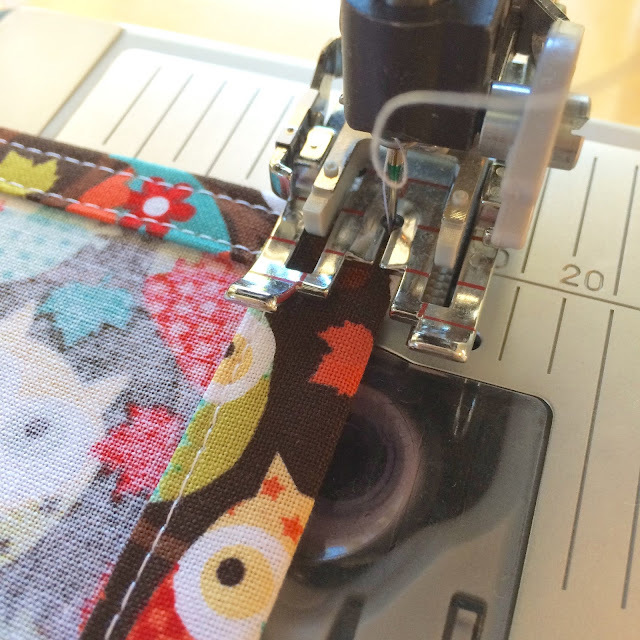 I love using the walking foot on my machine for almost all my sewing, it was totally worth the investment. It's also a good idea to use a heavier needle in the machine to handle the multiple layers of fabric at the corners. I use a 90/14 quilting needle. 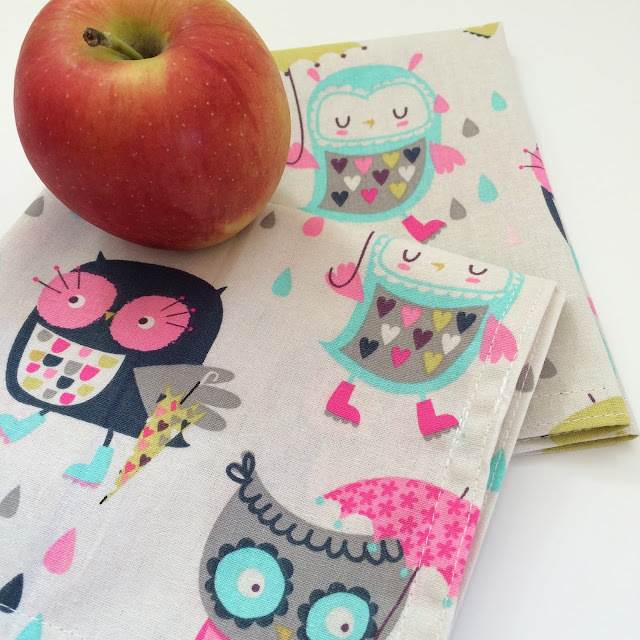 These napkins are primarily for my daughter to use for school, they'll be well used and loved! 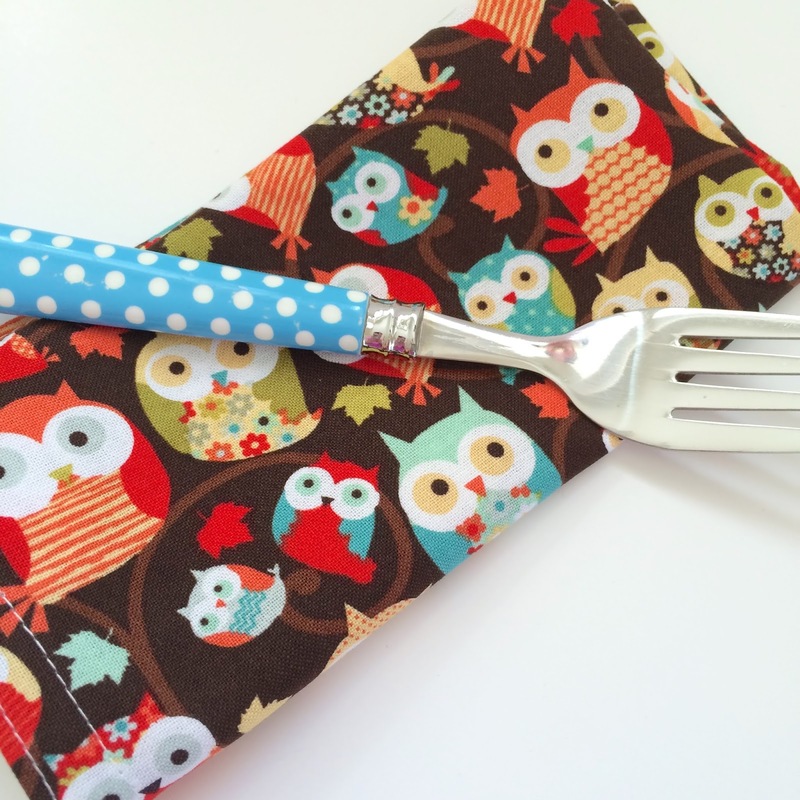 Below is my favorite fabric from this set of napkins!